Everyone has sweaty feet. This is especially true if you are living in a hot and humid climate like Malaysia. But there is another condition where your sweaty feet is more severe than usual. If so, you are likely suffering from excessive sweating, better known as hyperhidrosis. Thankfully, here are the 8 Ways To Manage Sweaty Feet. Never underestimate the socks that you wear every day, particularly if you have sweaty feet. Always wear socks made of cotton, natural fibres or moisture-wicking material that offers proper ventilation. But whatever you do, nylon and polyester socks are strictly a no-no since they tend to trap moisture and prone to sweat as well as sogginess. Get this: If your feet suffer from too much moisture, your socks can cause bacteria infection on your skin. This, in turn, will lead to foot problems like athlete’s foot and tinea pedis. Getting the right pair of socks is not the only thing you should notice. The same reason also goes to picking the right pair of footwear. Make sure your shoes are made from breathable fabric materials like canvas or leather. Forget about wearing shoes made from the likes of cotton or polyester or even boots since they trap moisture. Even if you own the right pair of shoes, it is best to switch them regularly (this means getting two different pairs would be ideal). Such an approach is to ensure your shoes are able to stay as dry as possible. By washing your feet, we do not mean only during your normal shower routine. Spare some time to wash your sweaty feet at least once or twice a day. Get a bucket of water, add over-the-counter (OTC) antifungal soap or a few drops of essential oil like tea tree and eucalyptus. Remember to dry your feet and toes thoroughly with a clean towel after soaking them. Alternatively, you can try an apple cider vinegar foot bath. Besides, apple cider vinegar contains astringent properties that help control sweat production and eliminate bacterial infection. All you need to do is add 1 cup of apple cider vinegar (you might want to look for the popular Bragg brand) along with 4 cups of water in a bucket. Then, sit back, relax and soak your feet for around 15 to 20 minutes before rinsing and patting them dry. Consider investing in an antifungal or antibacterial powder to keep your feet dry and odour-free. Some of the common brands you can find in your local pharmacies include Aiken and Agnesia. But if you do not mind spending more, getting a specialised foot powder such as Scholl may help counter your sweaty feet. An antiperspirant is exactly what it means: a type of substance used to apply directly on the skin to minimise sweat or perspiration. There are two types of antiperspirant you can use (look for the specialised one designed for sweaty feet): roll-on or spray-on varieties. Some of the brands you can look for include Scholl Fresh Step Anti-Perspirant and Perspirex Antiperspirant Hand and Foot Lotion. Alternatively, you can also look out for imported clinical-strength antiperspirant brands like Driclor, Drysol and Certain Dri on popular e-commerce platforms such as Lazada and Shopee. If you are using an antiperspirant for your sweaty feet, it is best to apply them before bed and wash it off the next morning. This is because you are likely to sweat less at night. In fact, you will be in an idle mode over the course of your sleeping hours, allowing the solution in the antiperspirant to absorb into the skin and temporarily stop the sweat glands from flowing through. Did you know that water plays an important part in your overall body function? So, never neglect to drink sufficient amount of water throughout the day. And you certainly need more water whenever you are on an intense workout. The reason? When you are dehydrated, your body needs to work twice as hard and causes you to sweat more. By drinking plenty of water, your body will be properly hydrated and keep excessive sweating at bay. What you eat or drink can make or break your sweaty feet condition. 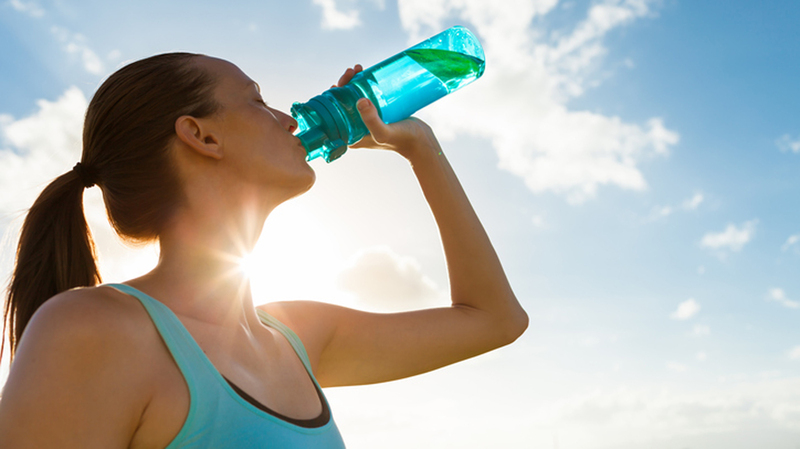 Believe it or not, certain food and drinks can trigger your sweat glands. Not only the feet but also palms and even your underarms. Among them that you need to avoid or reduce your intake are spicy food (anything cooked with chilli or curry-based dishes), alcoholic beverages (e.g. beer, stout and liquor) and caffeinated drinks (e.g. 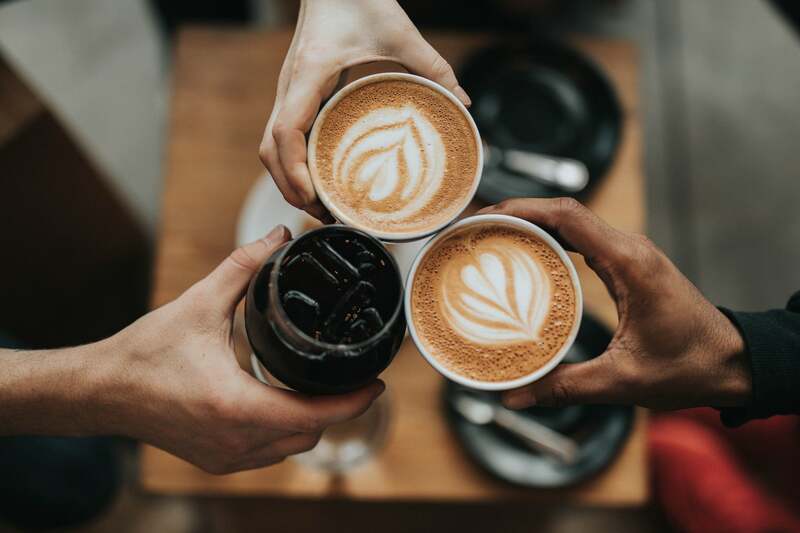 coffee, cappuccino and espresso). Even regular consumption of processed and fatty foods such as sausages, fries, burgers and fried chicken can cause more harm than good. If all of the above fails to counter your sweaty feet problem, the last resort would be visiting a clinic that specialises in treating sweaty feet. The cost is usually higher than your average visit to a family clinic. But think of it this way: it might help to reduce or even eliminate your sweaty feet in the long run. Here are two handy lists (here and here) of local clinics that might help get you started.